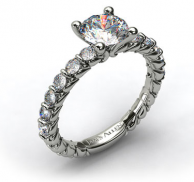 Vintage-style engagement ring with marquise diamonds on the side. 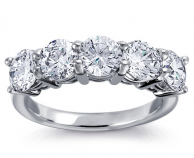 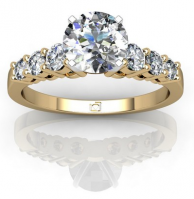 This ring is great if you love angles and lines, as opposed to round shapes and curves. 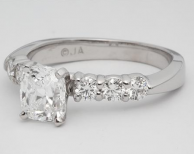 Also great if you like rare diamond cuts that you don't see every day -- this ring has two trillion cut sidestones! 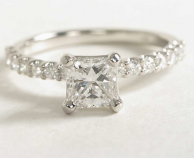 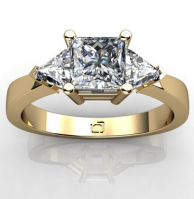 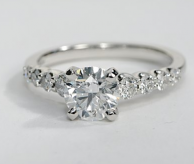 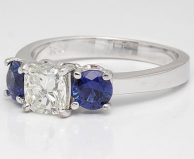 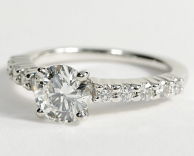 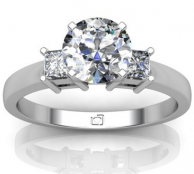 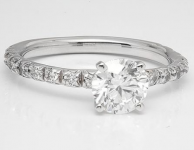 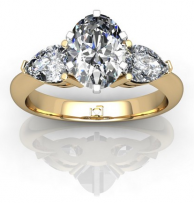 The center diamond must be a princess-cut diamond, adding to the lines and angles. 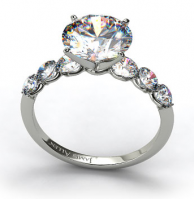 Definitely a different, beautiful engagement ring!